SAP HANA Interactive Education (SHINE) for SAP HANA Extended Application Services Classic model (SHINE for XSC) is now available by default in HANA Multitenant Database Container(MDC) in SAP HANA Cloud Platform (HCP) trial landscape. 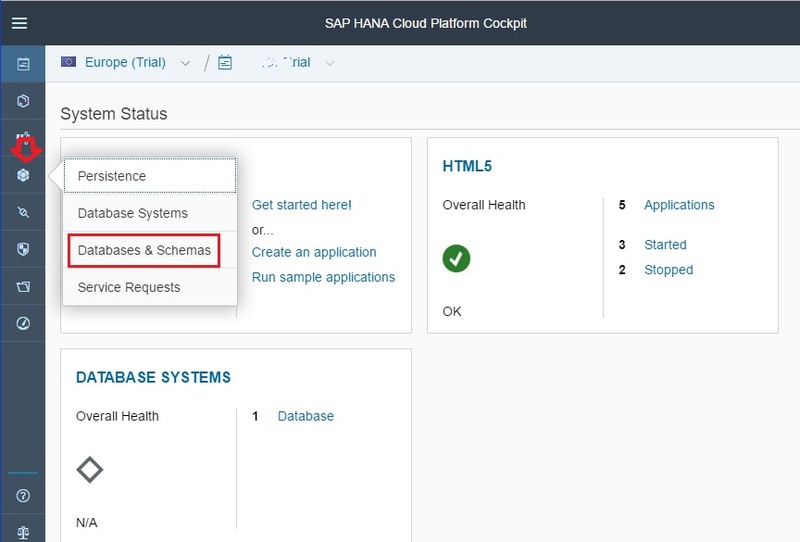 This blog gives a brief introduction to SHINE and also about availability SHINE for XSC by default in HANA MDC in SAP HANA Cloud Platform trial landscape and how to configure and run it. Please note that this feature is available only on HANA MDC’s created after 20-Oct-2016. SAP HANA Interactive Education, is a demo application that makes it easy to learn how to build native SAP HANA applications. The demo application is delivered with SAP HANA in a special packaged unit. It comes complete with sample data and design-time developer objects for the application’s database tables, data views, stored procedures, OData, and user interface. 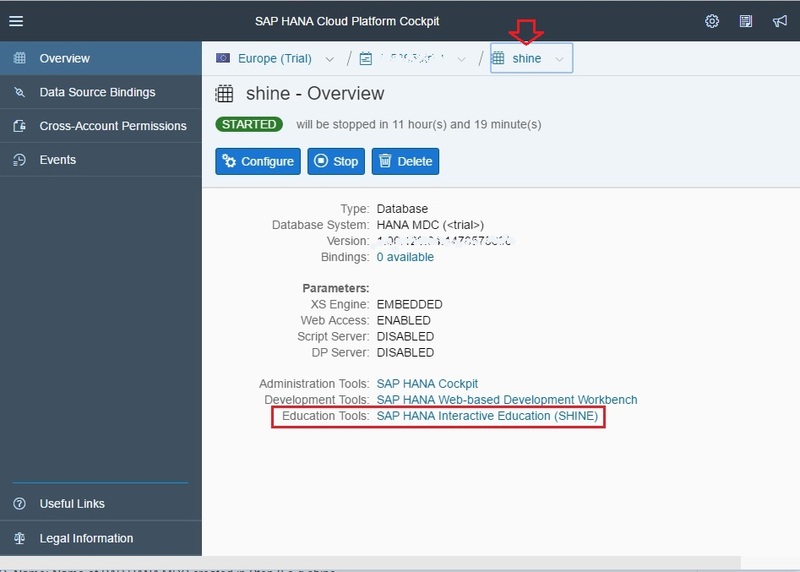 Note: SHINE is available by default only in SAP HANA MDC in HCP trial landscape. what will happen if i already imported the SHINE that is in Github. To be clear which version(default one or imported) will be there, and what can i do if i want the default one without creating an new MDC instance. 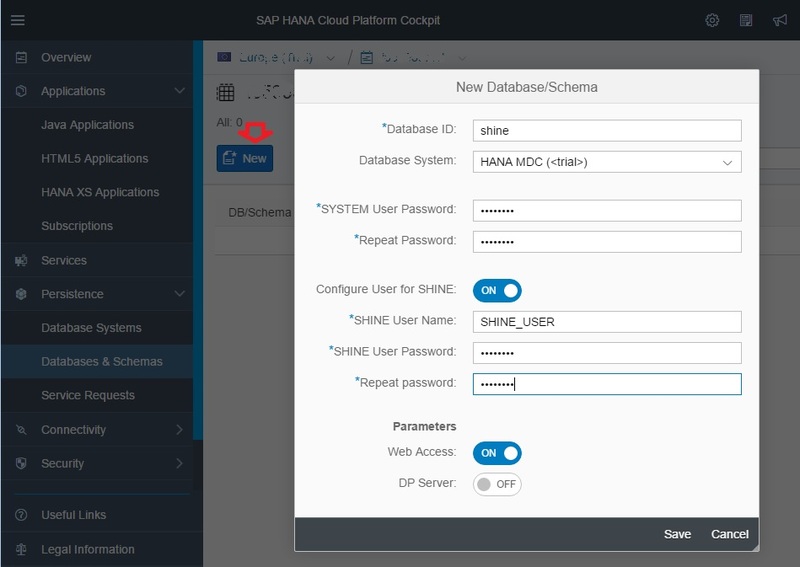 The version SPS12.1 of SHINE (https://github.com/SAP/hana-shine/blob/master/HCODEMOCONTENT_12.1.tgz ) which is the latest is present in new MDC. Your old MDC should have the one which you imported from github. The default one (HCODEMOCONTENT_12.1) would be available only when you create a new MDC. That’s great news – keep up the good work! I already have a trial MDC account running. 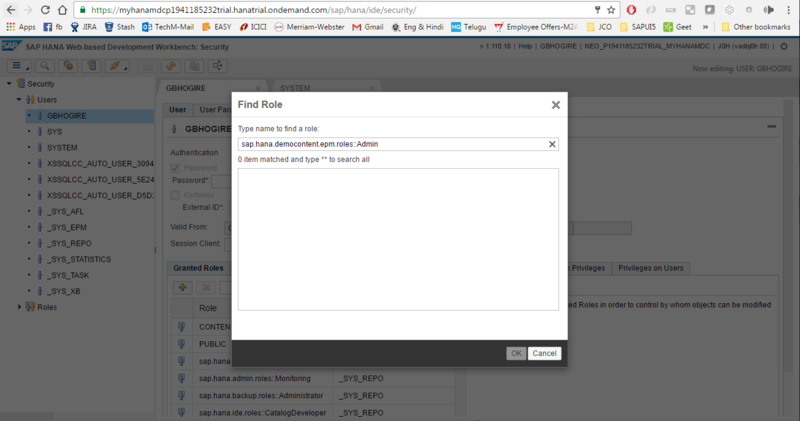 I am unable to find the roles-sap.hana.democontent.epm.roles::Admin & sap.hana.democontent.epm.roles::User under the Granted roles in the Security tool of SAP WEB IDE. I have attached the screenshot for the same. Please assist me.